When I was pregnant with Holly I decided that I would treat myself to a new changing bag. The one I had used for Alice I used a lot and lets be honest any excuse for a new bag. But, as Holly gets older the need for everything that a changing bag gives you becomes less. Holly is now twenty one months old and I don’t need to carry around that much for her now. Hooray! Most of the time all I need to take are nappies, wipes and a drink and I don’t need a big bag for just that. I’ve seen a few mum’s about just carrying a little nappy bag or making use of a fold up tote bag with just their nappies in which is what I thought I would end up doing. 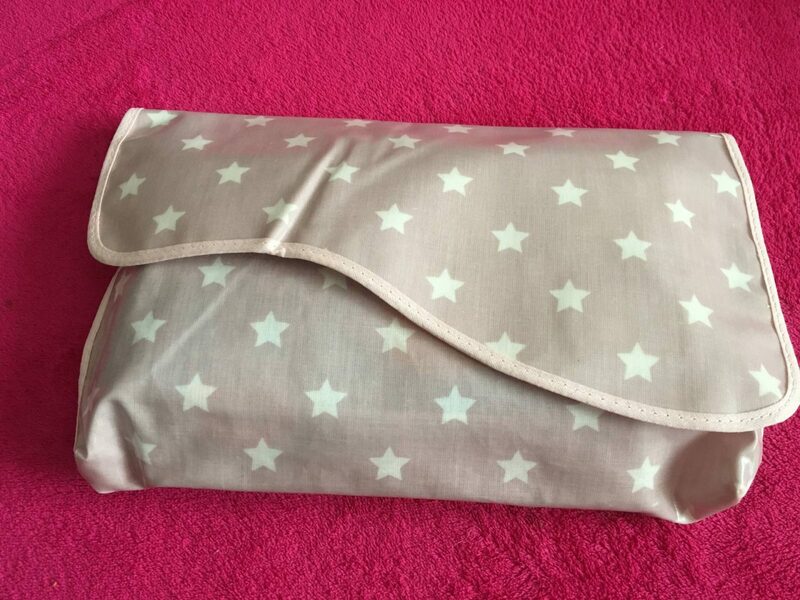 So, when Messy Me got in touch to ask if I would like to review one of their items I was excited to see they had a Messy Clutch Bag, which was just what I was looking for and would be perfect. The Messy Clutch Bag comes in a range of colours and I choose the Dusty Rose colour. What I instantly liked was the oil cloth material is soft, wipeable and made to a high standard. 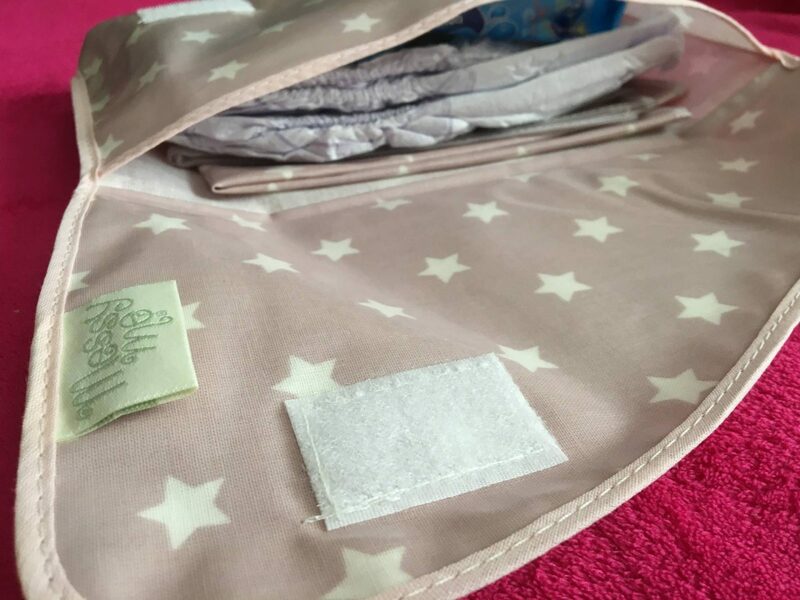 It’s designed to hold a couple of nappies, small pack of wipes, some nappy bags and cream. 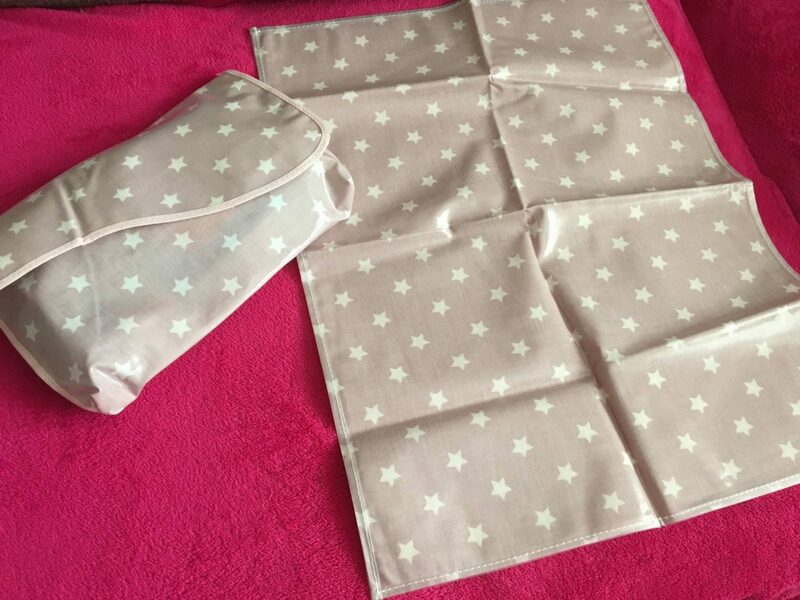 Plus it comes with its own unpadded mini changing mat which matches the bag. 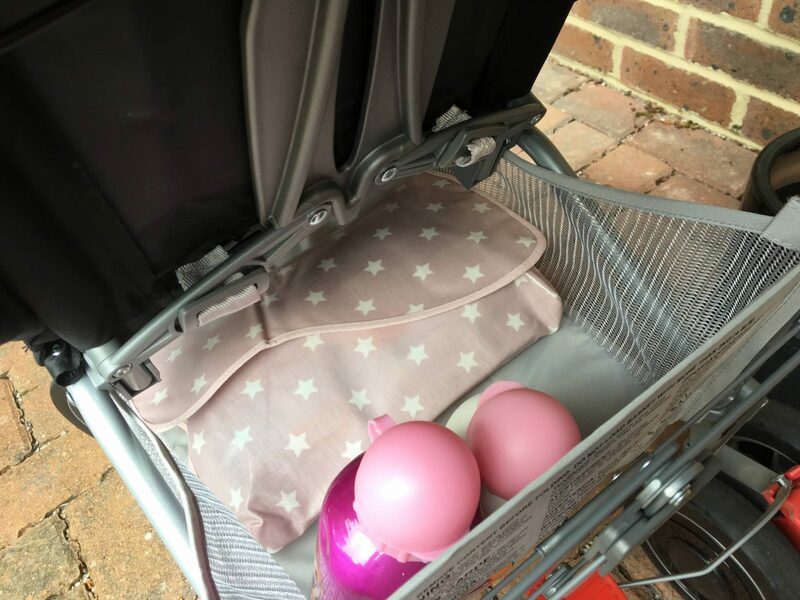 We like to walk to our local park and it’s lovely to be able to pop the Messy Clutch bag and a couple of drinks in the basket of the pushchair and we are off. Even better than that is it’s small enough to fit inside my own normal bag, yes a normal bag remember them? I get quite excited about using my own bags and just popping my Messy Clutch Bag inside. I am really enjoying using my Messy Clutch Bag and I will definitely be using it for the next year before we start potty training Holly. Messy Me have lots of other great practical solutions from splash mats to aprons, you can have a look at their full range here. Disclosure: I was sent the Messy Clutch Bag in return for an honest review. All opinions and views are my own. That’s a nice idea, great to have something small to take if you’re wearing smart clothes. I got really sick of carrying around a massive bag so I got something little and cute for Erin’s nappies etc! This bag looks like a great idea. What a fab little item. So cute and very practical – love it. How cute! A fab idea. Would love one of them. What a great idea! Looks super practical. This bag sounds perfect. What a great idea. The messy clutch bag looks brilliant, especially how compact it is yet can store a lot more than you think. Love the design too! ooo I love the pattern/ print!